Continuing on the theme of fifty years ago that we started a couple of weeks ago with Cunard, this week we look at the legacy lines that survive today. The names of these lines, Cunard, Holland America, Costa and P&O, are all historic, and as it happens they are all owned by Carnival Corp & plc. The only lines outside these direct links are Celebrity Cruises, formed by Chandris Cruises, which is owned by Royal Caribbean Cruises, and Lauro Lines, which was the foundation of today’s MSC Cruises. Elsewhere, we look at recent fleet announcements from Costa Cruises. And another veteran expedition ship gets a remake in Norway and Denmark. One of the interesting things about today’s cruise market is the pattern of cruise business acquisitions that have occurred over the years. Here are those acquisitions and how and when they occurred. Also given are details of their fleets fifty years ago. For each fleet is given the names, year of build and gross tonnage for each fleet member. The first pure brand acquisition was Holland America Line, which was purchased in 1988 by what would soon became Carnival Corporation. At the time Carnival Cruise Line, which had been formed in 1972, was the only other “brand” in the group. In post-Transatlantic days, the Statendam was regularly engaged on the New York-Bermuda run and in 1971 she became the first cruise ship to be equipped with a lido restaurant. Today every ship has one, some called buffets some called markets, but they all owe their origin to the Statendam in 1981. Holland America now operates a fleet of fifteen ships. In 1998, ten years after Holland America, another acquisition took place when Carnival Corp acquired a 68% stake in Cunard Line, operator of the Queen Elizabeth 2. Carnival bought the remaining 32% in 1999. 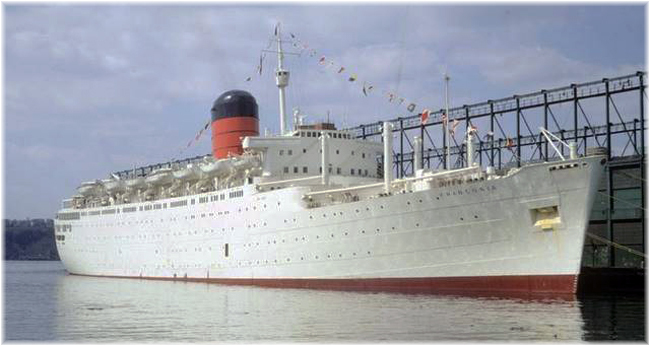 Thirty-two years earlier, in 1967, Cunard had owned a fleet of seven ships. 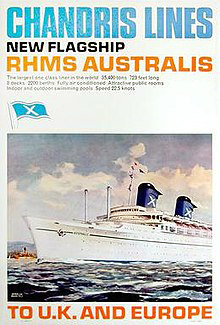 By the end of that year, however, the Queen Elizabeth, Caronia, Carinthia and Sylvania would all be withdrawn, leaving one Queen and the white-hulled cruise ships Carmania and Franconia. Today, the Cunard fleet still includes three ships, all named after queens. 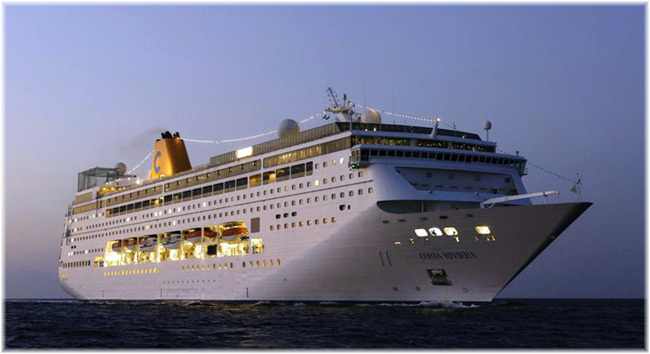 In 1997, Carnival acquired a 50% interest in Costa Cruises, and in 2000 it took the remaining half. Today, Costa operates a fleet of fourteen ships, with four more on the way. Back in 1967, Costa was operating a fleet of half a dozen ships. 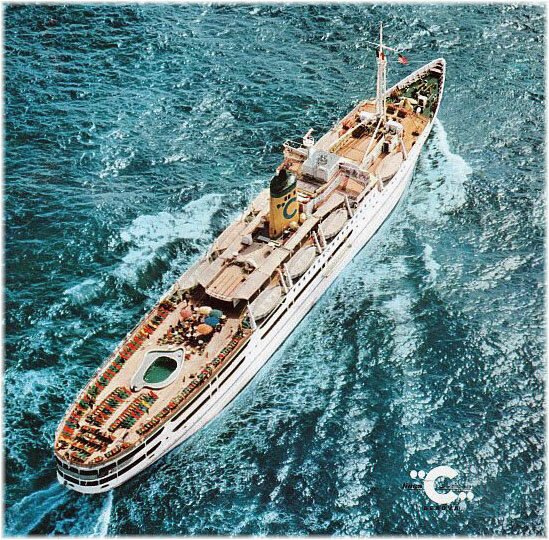 Although an old US-built vessel, the Franca C had been converted in 1959, with a new Fiat diesel, into Costa’s first dedicated cruise ship. She operated from Port Everglades on 7-, 9-, 11- and 13-night cruises, and later as well on 3- and 4-night cruise to Nassau. In 2003, Carnival Corp merged with P&O Princess. P&O Princess Cruises plc became known as Carnival plc and a dual-listed company with Carnival Corp, known as Carnival Corp & plc. At the time, Carnival UK included P&O Cruises Australia. P&O Princess Cruises had already acquired Sitmar Cruises in 1988, just before Carnival’s acquisition of Holland America Line. But Sitmar was not a brand acquisition as much as it was the purchase of a cruise line for the three new cruise ships that it was building. P&O Cruises now operates a fleet of eight ships while P&O Australia run an independent fleet of half a dozen ships from Australia, for a total of fourteen ships. P&O Australia however, now reports to the Holland America Line Group. P&O had a whole fleet of ocean liners in service to Australia and the Far East, while the Sitmar Line was heavily engaged in the Australian emigrant trade from Europe. 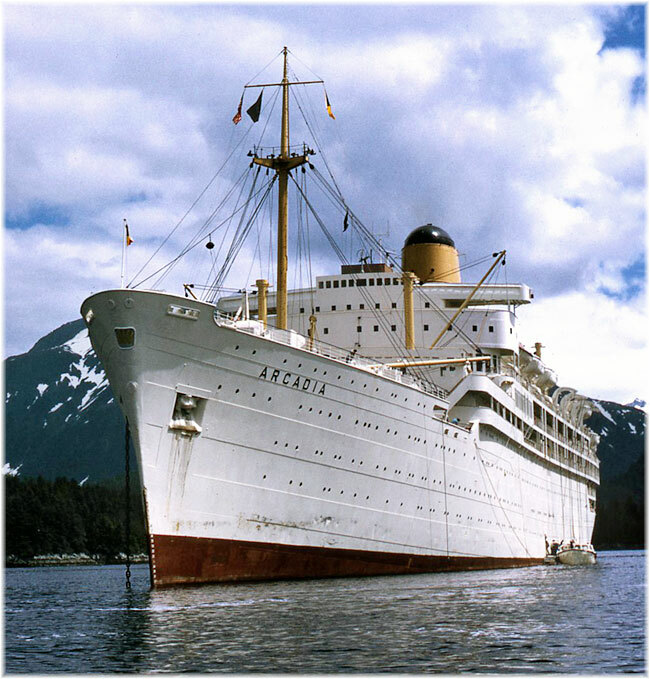 P&O over the years have offered many cruises but one series that would come to be of note was a season of Alaska cruises by the Arcadia in 1970 that ultimately led to P&O buying Princess Cruises in 1974. A brand that was operated by a Legacy operator was Celebrity Cruises, founded in 1990 as an upmarket division of Chandris Cruises. Royal Caribbean Cruises acquired Celebrity Cruises as one of its only brand acquisitions in 1997. Celebrity now numbers nine ships in its fleet with more on the way. Originally, Chandris Cruises and Chandris Lines had been two companies, both formed in 1960. Chandris Lines ran passenger ships between Europe and Australia, as well as Trans-Atlantic, while Chandris Cruises ran smaller cruise ships in the Mediterranean. 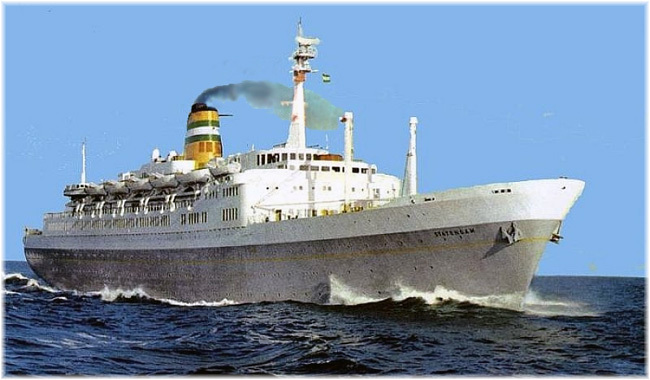 Another brand that was not acquired but rather built on was Lauro Lines, which began in the passenger trades in 1947 and as Starlauro Cruises would form the basis of what is now MSC Cruises. After Lauro Lines was acquired in 1988 and renamed Starlauro, it became the foundation upon which today’s MSC Cruises was built. MSC’s cruise operation is still based in Naples, as Lauro always was, with a fleet that will soon number sixteen ships. After spending half a dozen years operating as the first western cruise ship based in China, Costa Cruises’ Costa Victoria will return to regular Mediterranean cruising starting on March 30, 2018. In 2018, she will sail week-long Mediterranean itineraries featuring calls in Savona and Olbia, as well as Minorca, an overnight stay in Ibiza, Palma de Mallorca and overnight in Tarragona. Before her return to Med cruising, Costa Victoria will be refurbished at the Chantier Naval de Marseille. Also in March 2018, Costa will dispose of the Costa neoClassica, which has now completed more than a quarter century of service. She will meanwhile complete a series of cruises between India and the Maldives. Costa neoRiviera will then replace Costa neoClassica from June 2018, offering week-long itineraries from Bari ito the Greek islands. 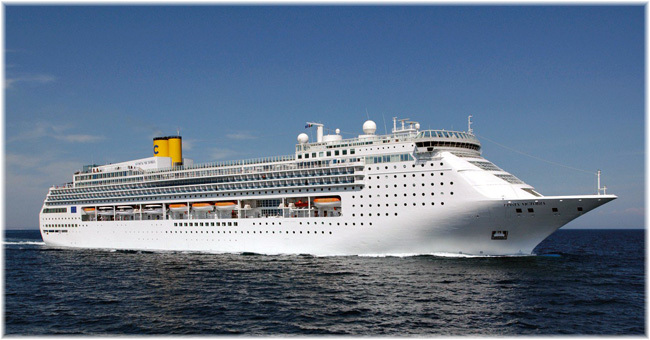 Costa Victoria will take over Costa neoRiviera’s itinerary program. The itinerary changes come as Costa prepares to welcome two new ships for its European market and two Costa Asia vessels, which will start to debut from 2019. Costa neoClassica was built in 1991 and is now the oldest ship in the fleet. It has been reported that she will soon be headed to Florida to join Bahamas Paradise Cruise Line with sailings from West Palm Beach to Freeport. It’s likely that if this sale is confirmed they will institute a daily service instead of sailings every other day, as at present. Bahamas Paradise Cruises now offers combinations of 2,4 and 6 nights at Freeport hotels but a daily operation would allow for any number of nights. This would in fact constitute an old-fashioned night ferry service, dating back to the days before carferries, and this formula could be applied to a number of islands in the Bahamas as well as, in the longer term, destinations in Cuba. The two are very similar in size and capacity, even to the point that each has only ten balconies. Another vessel used largely by Quark Expeditions, a renamed Ocean Adventurer, is being upgraded at Ulstein Verft in Norway and the Orskov yard in Denmark for summer work in the Arctic. The vessel, previously named Sea Adventurer is owned by Adventurer Partners Ltd.
All engines and auxiliary equipment have been replaced, and passenger capacity has been increased in work that included engineering by Ulstein. Quark Expeditions said that “the new and improved Ocean Adventurer is designed to carry 132 travelers in comfort to the most remote corners of the world. 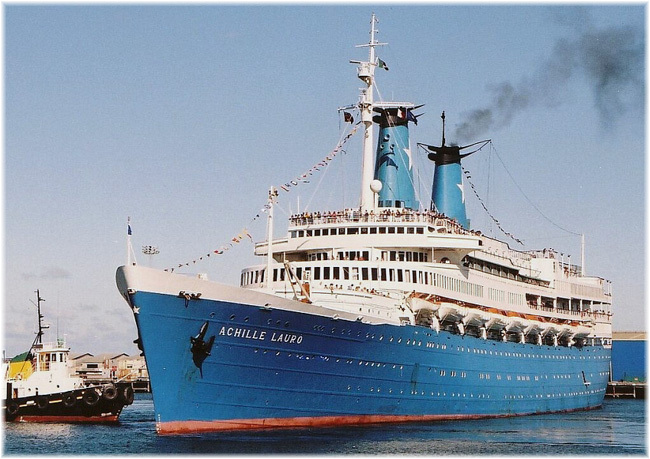 Built in Yugoslavia in 1976, this veteran ice-strengthened ship has become a passenger favorite over the years and underwent refurbishments in 1999 and 2002”. Existing passenger cabins have been updated and upgraded and the capacity increased from 110 to 132. The common areas have also been rebuilt and modernised. Ocean Adventurer is currently in drydock at the Orskov yard in Denmark, where she is receiving a large stern sponson. 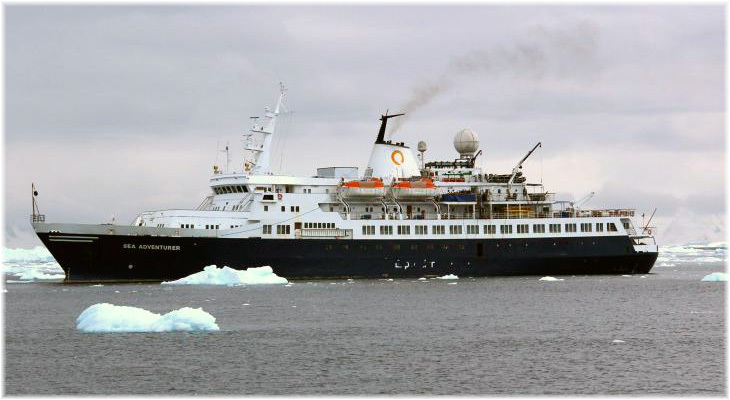 Orskov did a previous large rebuild of this ship when she was known as the Clipper Adventurer, in the late 1990s.